The lighting is SOOOO bad in this video and I apologize. I few subscribers wanted this video soon so I uploaded it after editing. Will for sure do better next time! 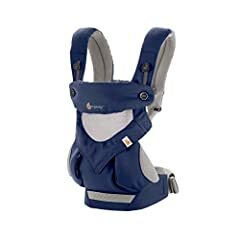 Finally I’m posting my review on the Ergo Baby four position 360 Baby Carrier! I hoping my ergo baby adapt would show up somewhere but it still hasn’t. Within the next few weeks I will post a video comparing the baby K’tan and Ergo Baby so please subscribe and look out for that video. Leave a comment on what you like or don’t like about the Ergo Baby and which one you have. Thanks you guys! I have an Ergo original , a Lille baby, a ring sling carrier, baby Ktan, and a new baby Ktan breeze, which I’m super excited about being in the south where it’s hot. I have been seriously considering getting the Ergo 360. 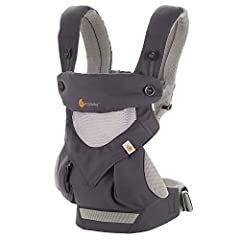 I know alot of people love the Lille baby, but I honestly don’t like it, it’s a wide carrier that covers the whole front of your body, again being in the south it’s too hot here, plus it’s not as comfortable as the Ergo. The Tula has a similar wide style as the Lille baby, so I’ve never been interested in purchasing that one. 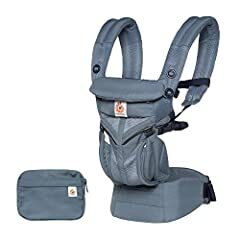 Personally, I love the baby Ktan and the Ergo carriers, they are my faves. Thank you so much for undoing the velcro. I really appreciate it. When you do the comparison video could you please stick the whole piece of velcro down and undo one more time, it if it is no trouble. How strong and sticky is the velcro because it looked like you had to work hard to undo it. Why do you think they covered the entire band in velcro?. It would be good to hear it one more time if possible. There’s a video on the ergobaby YouTube called … how to put on the ergo by yourself… it explains it more. There’s a method called the T-shirt method with the back strap it works perfect for me. Hopefully that will help you. 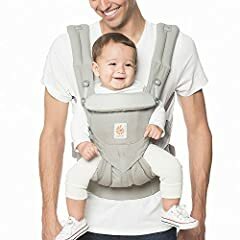 In another video, I would also like to see a demonstration of how you take your baby out of the carrier after a day out and then show you undoing the velcro in the place that you have to so your baby doesn’t hear it. The BEST Baby Carrier: Ergobaby Omni 360 Review & Giveaway!